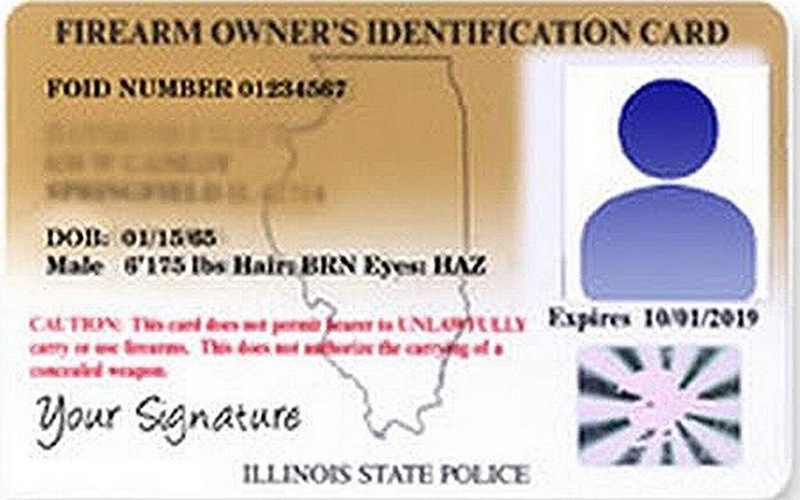 State Representative Ryan Spain joined Illinois State Police Director Leo Schmitz in urging Illinois firearm owners to file paperwork early to renew their Firearm Owner Identification (FOID) Cards as the first wave of the 10-year renewal will create a backlog of renewal applications. “With more than 50,000 FOID cards due for renewal between June 1 and August 1 due to amendments to State laws on the 10-year renewal process in 2008, I am urging my constituents who are FOID holders to renew as early as possible to allow adequate time for processing before expiration,” said Rep. Spain on Tuesday. The Illinois State Police oversees the FOID card system and issues the cards that are required to buy or possess a firearm or ammunition in Illinois. FOID card applications require state and federal background checks, as well as review of the database from the Illinois Department of Human Services to confirm applicants have not been in a mental institution in the past five years. Persons with common names may find additional delays as identities are confirmed. Illinois State Police have already sent renewal notices to those whose cards will expire June 1. Applicants can visit the ISP’s Firearms Services Bureau website at ispfsb.com to renew online. The cost of the card is $10. Applicants must be Illinois residents and include their Driver’s License or State ID card number. Applicants under the age of 21 must have a parents’ signature on the application. Anyone who needs assistance with the FOID card renewal, and those who prefer paper applications, may call 217-782-7980 and select menu option 0.